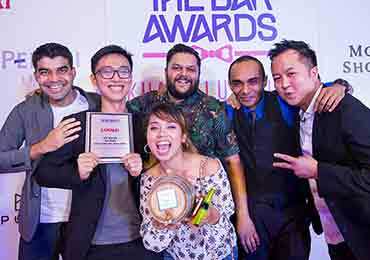 The Bar Awards for KL and Penang wrapped up with a killer award ceremony and a mental afterparty at JungleBird (so many hangovers the next day) to celebrate the best bars in the two cities. 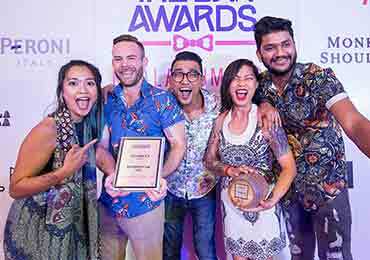 Award highlights include Bar Trigona snagging two awards (Best Hotel Bar and Best New Bar) less than six months after opening, Mish Mash cleaning out the Penang categories (Bar of the Year and Bartender of the Year, to Spencer Ezra), Shawn Chong of Omakase + Appreciate winning the Bartender of the Year – Kuala Lumpur, and Coley winning Bar of the Year – Kuala Lumpur, two years in a row. Special mention goes to Ben Ng of Mish Mash and editor of Thirst Mag Kim Choong for being recognised this year as the Bar Awards Luminaries, for their contribution to the growth and development of the Malaysian bar community. This is the first year it is introduced to Malaysia. Luminaries KL & Penang - (Far right) Ben Ng, Kim Choong, Daniyel Jones, Brand Ambassador of Angostura and Helle Aslak. We are so proud of all the nominees and winners. Check out the roundup below for the full list and rankings. 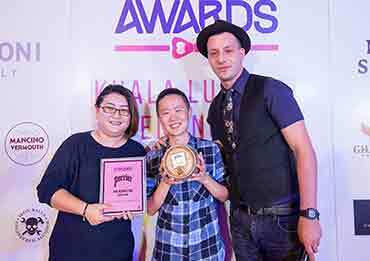 The Rising Star - Caden Chua (middle), (left) Tammy Cheow, Senior Operation Manager of Mui Hua and (right) Francisco Moretti, Brand Ambassador of Perrier. 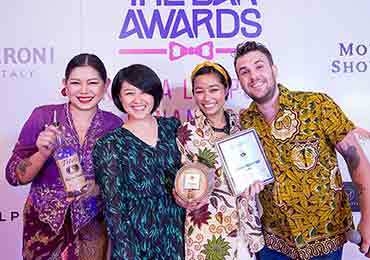 Best Restaurant Bar - Joloko KL. (From left) Lini Pong, Marketing and Michelle Loh, Director of TWE, Kit Yin and Rick Joore, bosses of Joloko. Best Beer Bar - Taps Beer Bar. (From left) Alvin Lim (one of Tap's partners), long-term staffs of the bar and (right) Sean Soh, Commercial Director of Luen Heng. Best Wine Bar - Vintry. (From left) Jean Baptiste, Brand Ambassador of Mumm and Liz Koh, Operation Manager of Vintry. Best Hotel Bar 2018 - Bar Trigona. 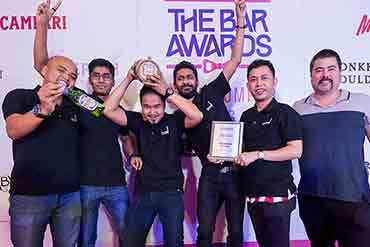 (From left) Ashish Sharma, Head Bartender, Marcus Kwok, Server, Divyesh Chauhan of Campari, Rabiatul, Server, Shadrach Shan, Bartender and Derrick Yee, Bar Manager. 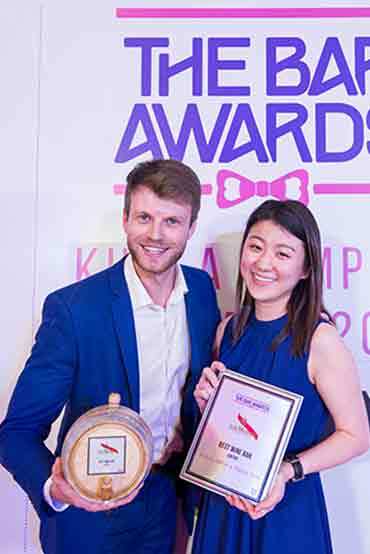 Best hospitality Ambassador- Andrew Tan of Hyde 53M and Monarchy 61, (right) Victoire Desvignes, SEA Business Development Manager of Fever Tree. 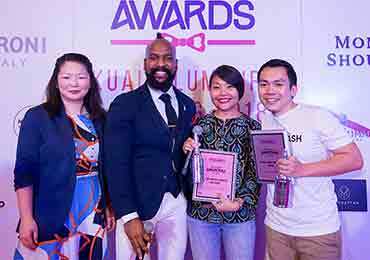 Best Hospitality Team 2018 PS150 - (From left) Charmain Thio, Brand Ambassador of Hendrick's Gin, Peter Lam, Glen Oliver, Angel Ng and Rusho Harry. Most Creative Cocktail PRogram - Omakase + Appreciate. (From left) Yong Chee Kim of Remy Cointreau, Shawn Chong and Karl Too, owners of the bar. 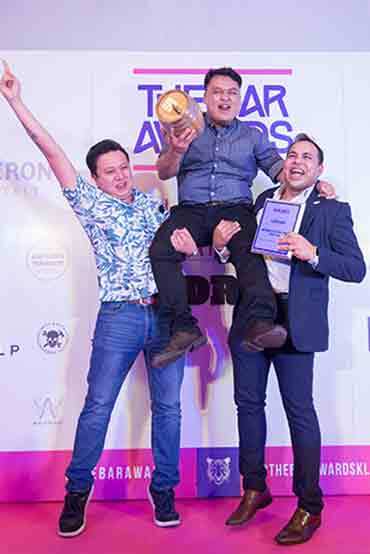 Bartender of the Year 2018 Penang Spencer Ezra (middle), (left) David Hans, Brand Ambassador of Giffard, (right) TJ Anthony, Regional Sales Director of Giffard. 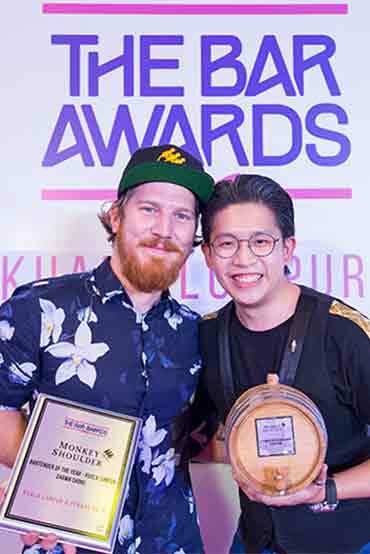 Bartender of the Year 2018 KL Shawn Chong (right), Jay Gray (left). 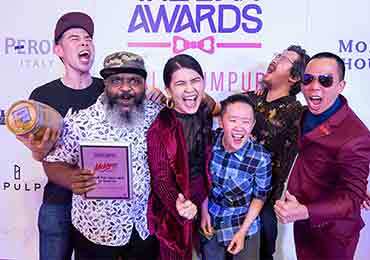 Best Bar of the Year 2018 Penang - Mish Mash. Team of Mish Mash. 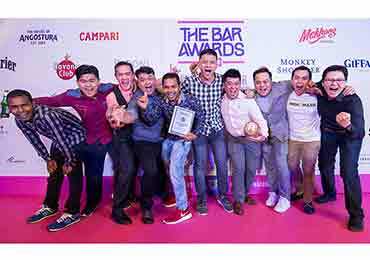 Bar of the Year 2018 Kuala Lumpur - Coley. Team Coley, (middle) Ariya Samattai and (right) Ponn Kitiphum, Brand Ambassador of Mekhong. Just in time for this festive season! New tea, new coffee, and some goodies for the Lunar New Year. Meet the bitters with a firm grip on Malaysia’s bartenders.